RRSP: A Registered Retirement Savings Plan is a way to defer taxes until retirement, save for education, or save for a first time home purchase. For most of us, we are taxed at the highest rate when we are working in our careers. Money contributed to an RRSP “escapes” taxation until a date in the future. As we contribute to an RRSP, the money accumulated in the RRSP grows on a tax deferred basis. When most of us are retired, we are making significantly less money than we are when we are working. For most Canadians without a pension plan, or significant earnings in retirement, an RRSP is the best place to save for retirement. An employer sponsored RRSP also often includes an employer matching component. If possible, it makes sense to utilize employer contributions fully, as it is “free money” to the employee, given as a valuable benefit by their employers. When evaluating where to work, it is important that employees factor in employer matching as a part of total compensation. Employer contributions to an RRSP are a taxable benefit, and employee contributions are made with pretax income. As stated above, an RRSP is also an effective way to save for life-long learning, or employee education. The Life Long Learning Plan, allows you to withdraw up to $10,000 (to a maximum of $20,000) in a calendar year from your RRSP to fund education as a full time student. The Home Buyers Plan allows you to withdraw up to $25,000 to cover the cost of a down payment, if you are a first time home buyer. The maximum RRSP contribution room for 2019 is 18% of 2018 pretax income or $26,500, whichever is lower, for both employer and employee contributions. DPSP: A Deferred Profit Sharing Plan is another account which allows employers to share in company profits, in a tax effective manner. A DPSP is similar to an RRSP, with some key differences. Like an RRSP, savings in a DPSP are tax deferred, and to an employee, have similar rules. Unlike an RRSP however, DPSP contributions are made only by the employer, and are fully at the discretion of the employer. In many cases a DPSP also has a vesting provision. Vesting helps protect employers from contributing to an employee’s DPSP and the employee leaving in the short term, taking the employers DPSP contributions with them. A DPSP allows for up to a two year vesting period, during which, if an employee leaves their employer, they cannot take their DPSP with them. This is often a favoured option for employers that want to provide a plan that will help curb employee turnover, and foster long term relationships with their teams. The flexibility of a DPSP is attractive as well, as contributions are set at the discretion of the employer, and can be changed as needs arise. In many cases, employers offer an RRSP/DPSP “combination plan” where employer contributions flow into the DPSP and employee contributions flow to the RRSP. These plans are often, but not always based on an employer match, ranging from one to eight percent of earnings. If conditions change, employer contributions to a DPSP can be changed at any time, at the discretion of the employer. DPSP maximum contribution (employer only) for 2019 is 18% of annual income or $13,615, whichever is lower. RPP: A Registered Pension Plan is a way for employers to help employees save for retirement, with an element of “forced savings” which provides a tried and true method to provide dedicated savings for employee retirement. Pension plans provide locked in savings, which employees cannot access until retirement. Employee contributions to an RPP are taken from pretax income, and employer contributions are not taxable to employees. Employer contributions to an RPP are set in place and registered with provincial pension authorities, and may not change unless approved by the pension authority. 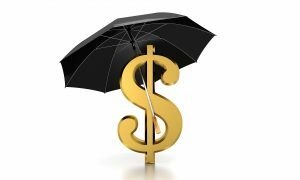 Defined contribution, also known as “money purchase” plans, have a total maximum contribution of 18% of annual pretax income or $27,230, whichever is lower. 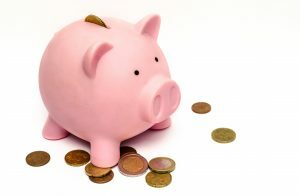 As with the case with all registered savings plans, contribution room is affected by contributions to different accounts. TFSA: A Tax Free Savings Account is another type of savings account often provided as a “side account” to an RRSP, DPSP or RPP. 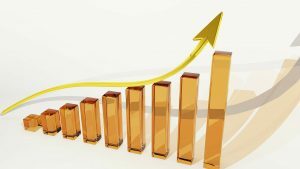 TFSAs operate differently than the other types of savings vessels, in that they are funded by after tax income, but the growth in a TFSA is not taxed, at any time. For lower income Canadians, a TFSA may be a more tax effective way to save for retirement. 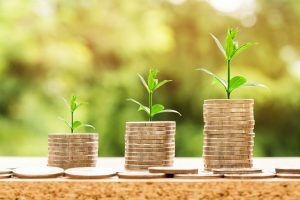 A TFSA can also be a suitable investment vehicle as an addition to an RRSP, DPSP, or RPP account for higher risk investments, with potential high returns, as the returns in a TFSA are not taxed. The TFSA maximum for 2019 is $6,000. NRSP: Non Registered Retirement Plans are another type of investment plan, which is funded by after tax income, and the growth in an NRSP is taxed. An NRSP is typically a “side account” where employer or employee contributions over and above registered (or TFSA) maximums can be invested and saved for retirement, or for other purposes. There is no NRSP maximum, due to the fact that NRSP assets are fully taxed.